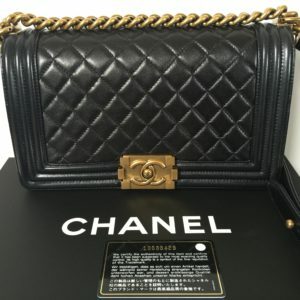 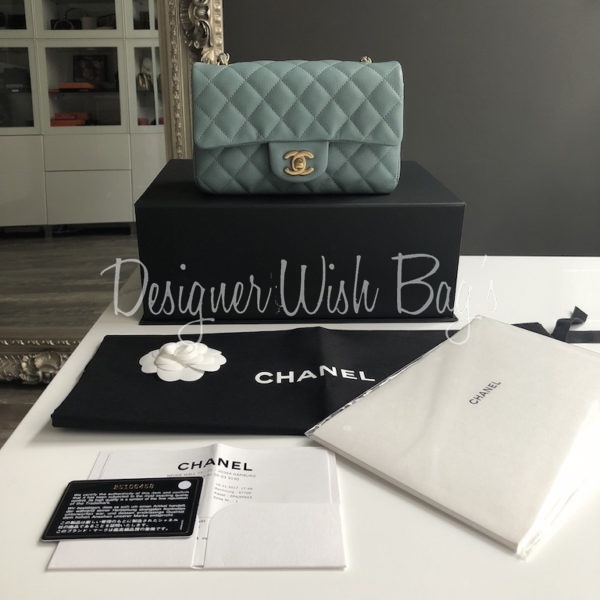 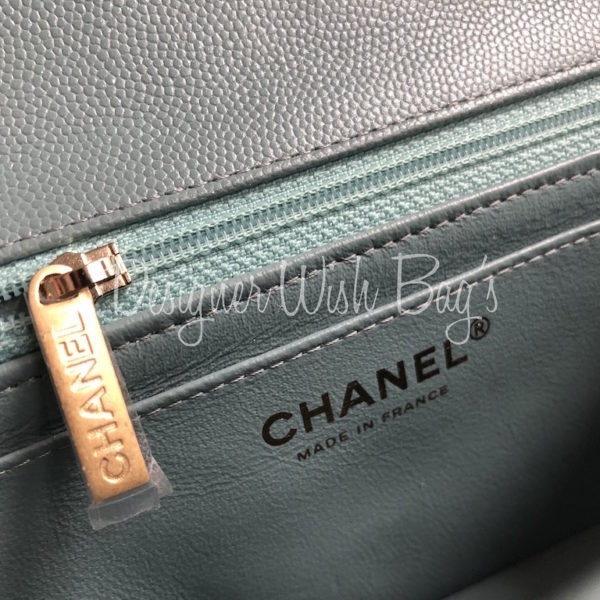 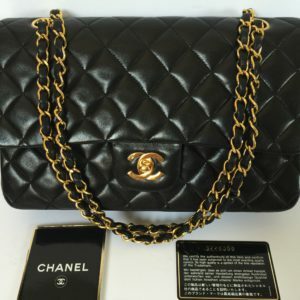 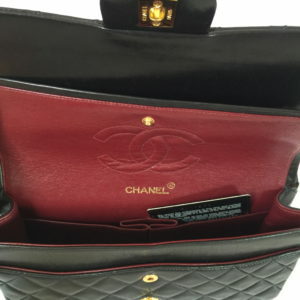 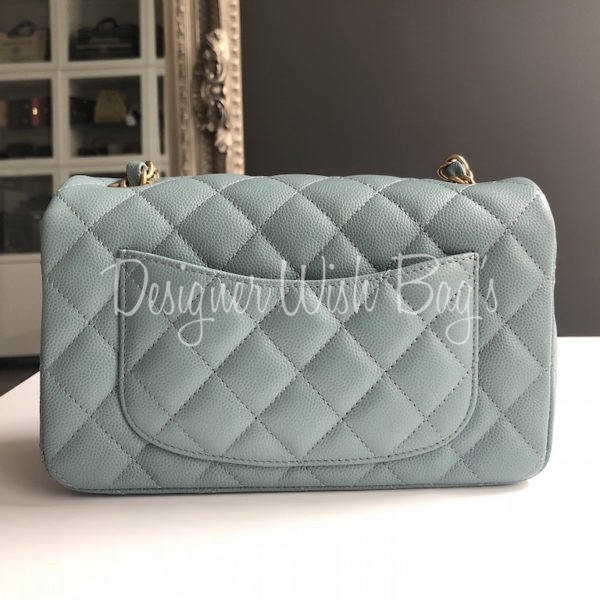 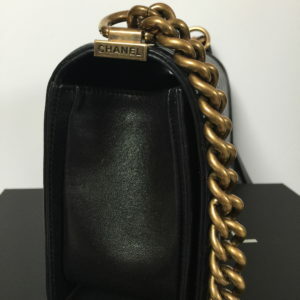 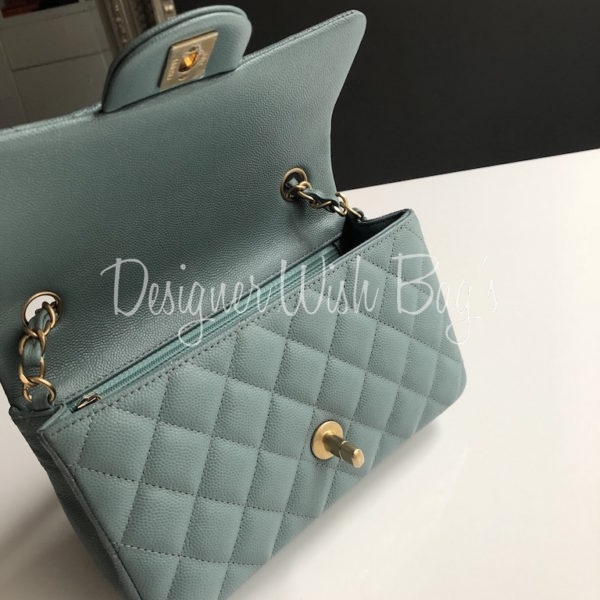 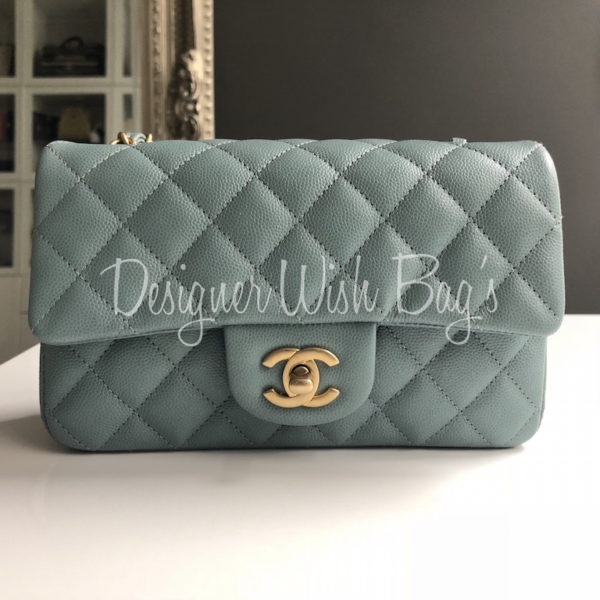 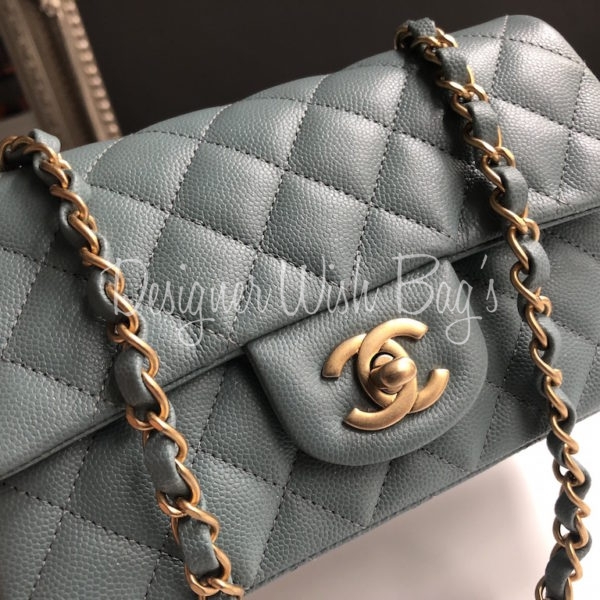 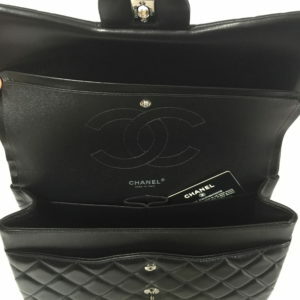 Brand New Chanel Mini Rectangular from the Cruise 2018 Collection. 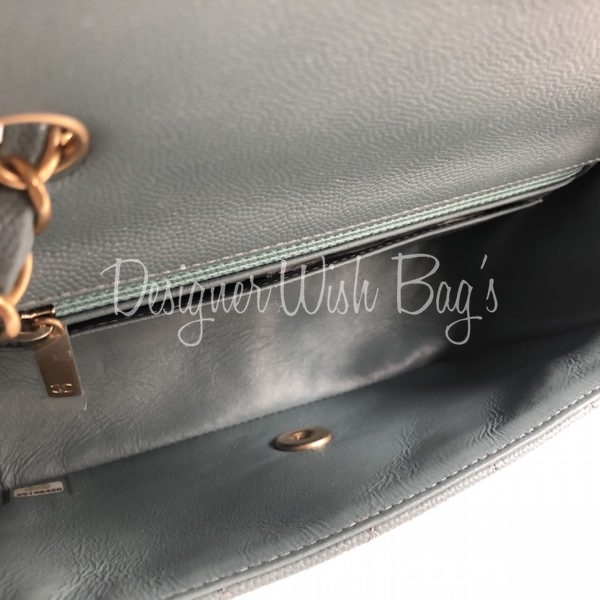 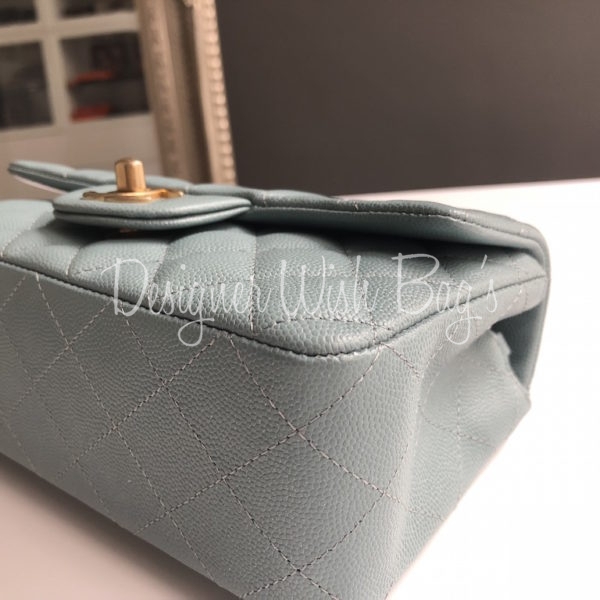 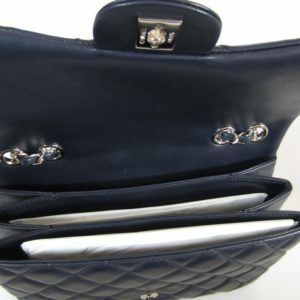 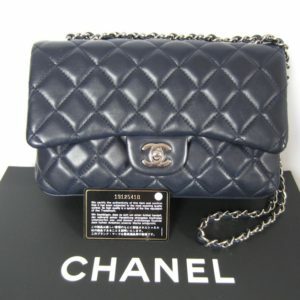 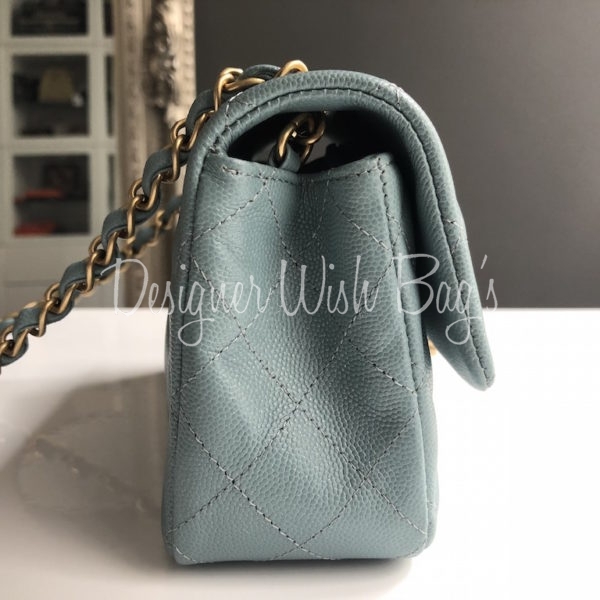 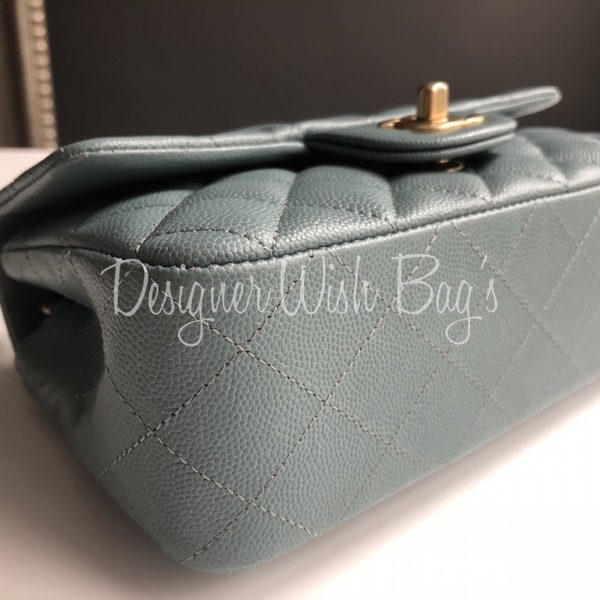 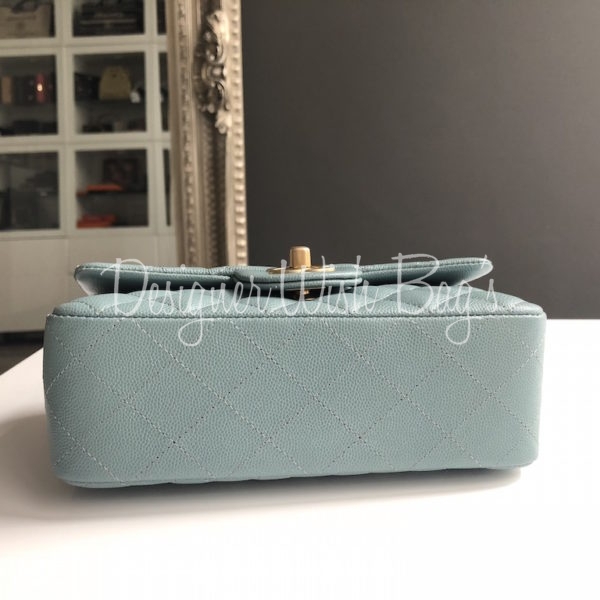 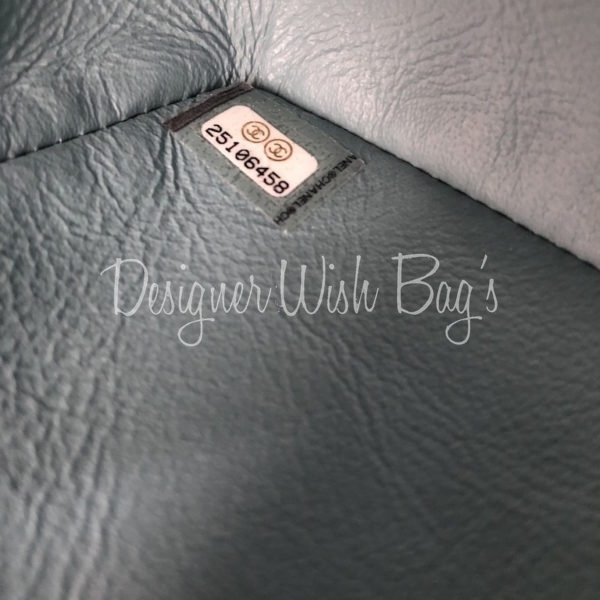 Rare Light Iridescent Blue Caviar Leather with Gold hardware. 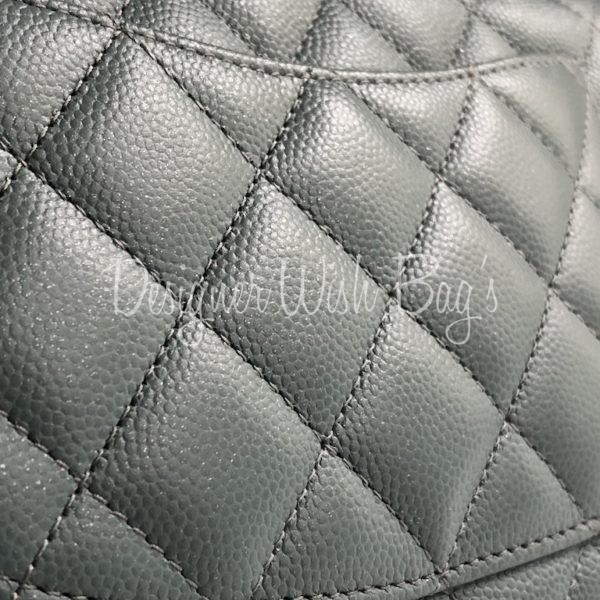 The leather with glitter shades is amazing!! 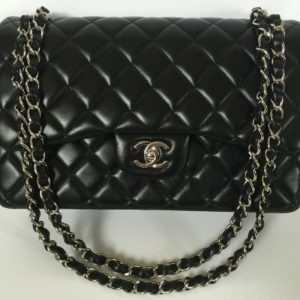 Can be worn cross body or shoulder. 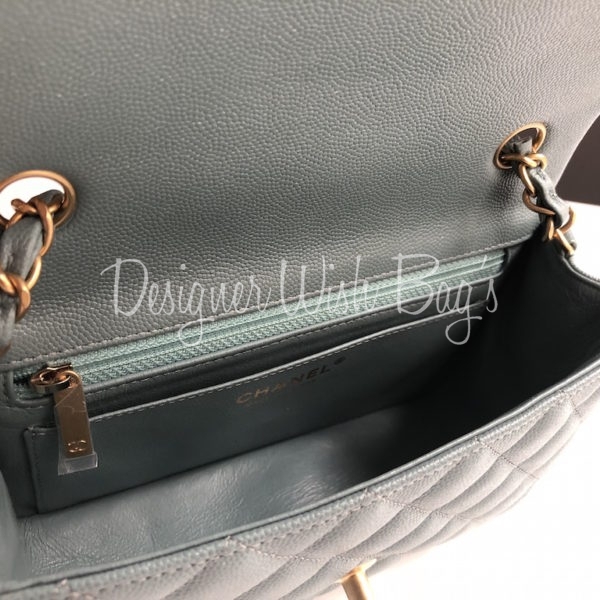 Shoulder strap drops 120cm. 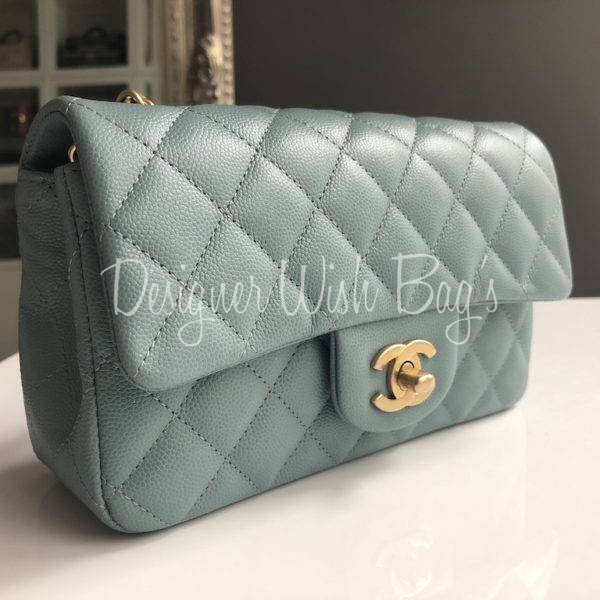 Never Worn – Brand new.